Home BIOGRAPHY NET WORTH PHOTOS Mama Ngina Kenyatta Biography, Age, Residence, Parents, Net Worth & Photos. Mama Ngina Kenyatta Biography, Age, Residence, Parents, Net Worth & Photos. Mama Ngina was born Ngina Muhoho, daughter of Chief Muhoho wa Gathecha and Anne Nyokabi Muhoho, Kiambu District, Central Province. 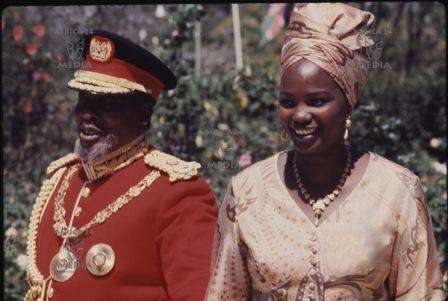 She married Jomo Kenyatta as his fourth wife in 1951, a union characterised as a "gift" to Kenyatta from his ethnic group, the Kikuyu. This became her reference as the "mother of the nation", becoming Mama Ngina Kenyatta, independent Kenya's glamorous First Lady when Kenyatta became President in 1963. She often accompanied him in public, and had some streets in Nairobi and Mombasa, as well as a Children's Home, named after her. In 1965, she became patron of Kenyan Guiding. In the 1970s, she and other high-level government officials were allegedly involved in an ivory-smuggling ring which transported tusks out of the country in the state private airliner. A May 1975 edition of New Scientist cited her as one of Kenya's "ivory queens" but also asserted they could not be completely certain that these claims were true. However, New Scientist claimed that there was now documentary proof that at least one member of Kenya's royal family had shipped over six tons of ivory to Red China. Mama Ngina became a Roman Catholic, and was known to attend Mass every Sunday in the Catholic mission with some of their children. 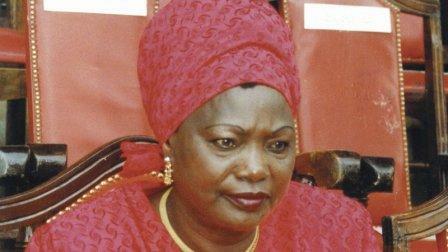 She also became one of the richest individuals in Kenya, owning plantations, ranches, and hotels. She currently leads a quiet life in Kenya as a wealthy widow. She bore Kenyatta four children: Kristina Wamboi (born 1952), Uhuru Muigai Kenyatta (born 1961), Anna Nyokabi Muthama née Kenyatta (also known as Jeni, born May 1963) and Muhoho Kenyatta (born 1964). 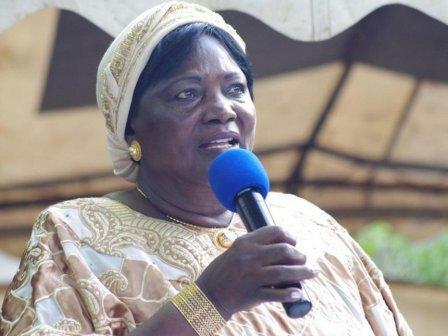 Her son Uhuru, the senior Kenyatta's political heir, unsuccessfully ran for president as President Moi's preferred successor in 2002 and is today the Kenyan fourth President. Muhoho Kenyatta runs the family's vast business but lives out of the public limelight. During Jomo Kenyatta's exile at Lodwar and Maralal, Ngina stayed with him, as did their daughters, Jane and Wamboi. Mama Ngina is step-mother to Kenyatta's other three children, two by his first wife and one by the second. Mama Ngina KenyattaNet Worth = 1$ Billion.